MAST worked with Ashleigh (Scotland) Ltd to deliver their new office headquarters in Dumfries. The 40-person capacity office covers 780 sq. ft. spread throughout the ground and first floor. 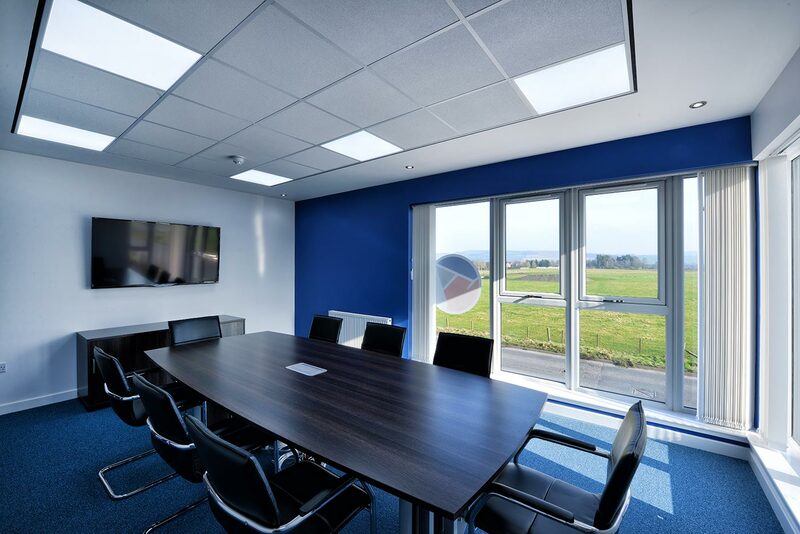 Specially designed meeting rooms with floor to ceiling glazing take advantage of the countryside vistas from first floor corner locations providing natural light with a stunning backdrop. 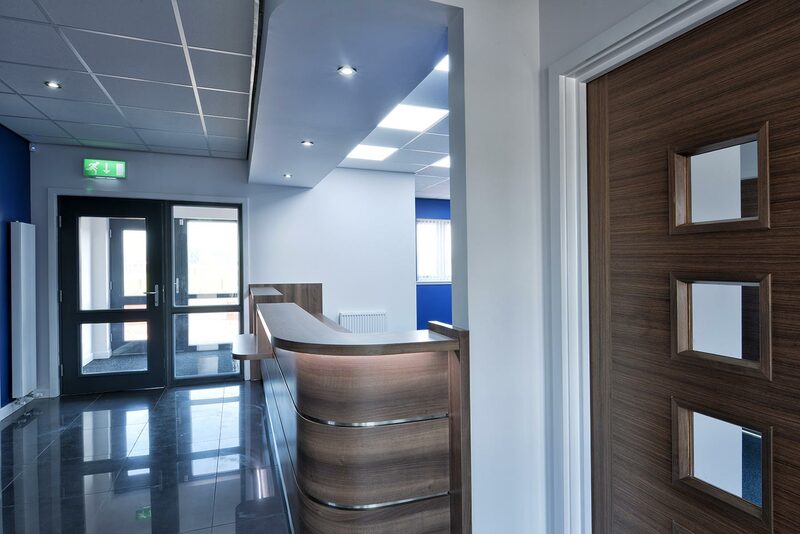 Close collaboration was required throughout every stage of the process from initial design proposals through to handover with members of the MAST team working with the end user client for every aspect of the office from external details to fixtures and fittings. These strong links of open communication proved vital in delivering the project to the client’s specific requirements and specifications.